The 'Men's One Energy Multivitamin' is recommended for supplementing the diet with B-complex vitamins. This multivitamin product is good for immunity and in maintaining the health of the heart. This multivitamin supplement also helps indigestion. Folic acid (800 mcg) present in this multivitamin supplement is useful for heart health while probiotics (25 million bioactive probiotics) take care of the digestive system. The ingredients of 'Men's One Energy Multivitamin' also include zinc, lycopene and saw palmetto. 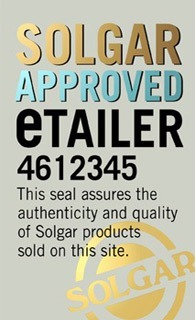 Solgar supplies several different multivitamin supplement products such as Solgar Male Multiple 60 Tablets and Solgar Prostate Support Vegicaps 60 Capsules.